You don’t necessarily need to have “Blizzard Mountain” or “Hot Wheels” downloaded to complete these challenges. We’re back with this week’s #Forzathon event, and this week we’ll be “Trudging Through” some challenges. The FH3 #Forzathon December 15-22nd event gives you a chance to pick up a Gurkha LAPV as well as the standard selection of credits and Wheelspins. This FH3 #Forzathon event starts on December 15th at 12:01 a.m. PT and closes at 11:59 pm PT on December 22nd so you have until the wee hours of December 23rd (depending on your time zone) in order to complete the challenges. 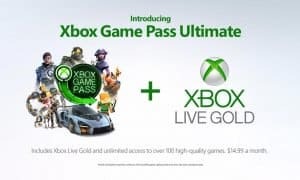 Even though this Forzathon does come with challenges that will utilize the season pass tracks, you don’t necessarily need to have Blizzard Mountain or Hot Wheels downloaded. 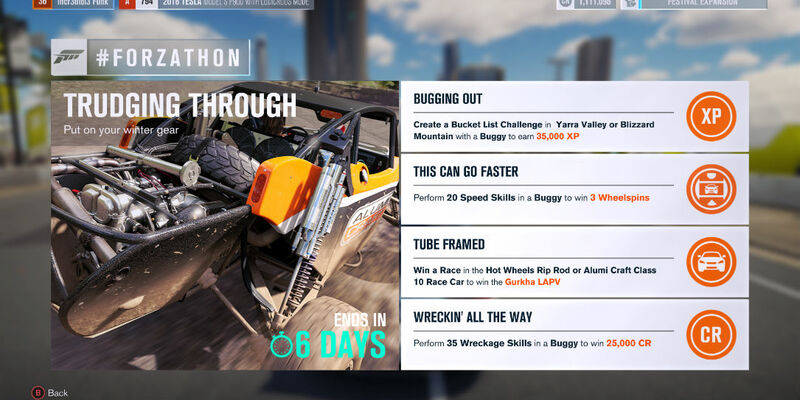 You can travel to Yarra Valley to complete the “Bugging Out” challenge to win credits or find the racing challenge for “Tube Framed” and win a race with the Alumi Craft Class 10 buggy to win yourself another buggy, the Gurkha LAPV. Speeds skills are easy enough to reach, so getting yourself 3 Wheelspins won’t be too hard and same for performing 35 Wreckage skills to get 25,000 CR. What do you think about the “Trudging Through” FH3 #Forzathon event and the vehicles up for grabs? Let us know in the comments below or on Google+, Twitter, or Facebook.